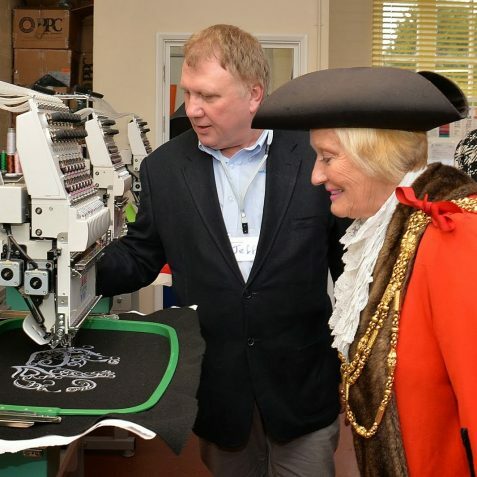 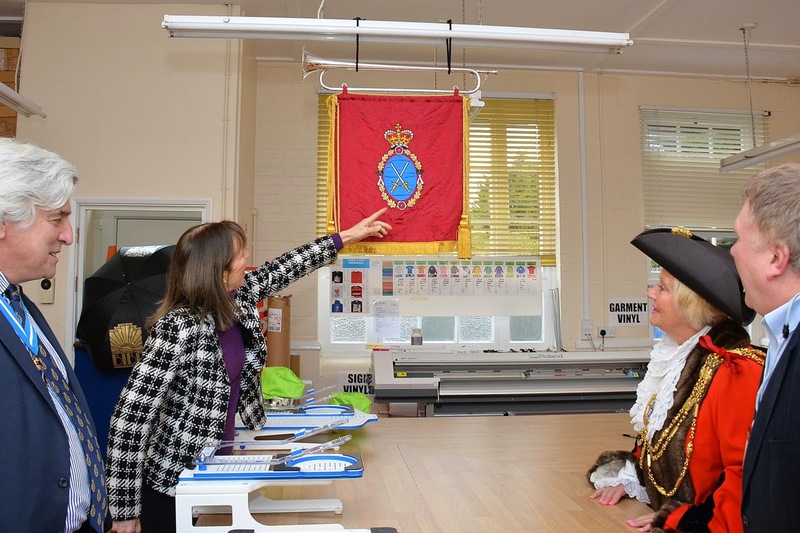 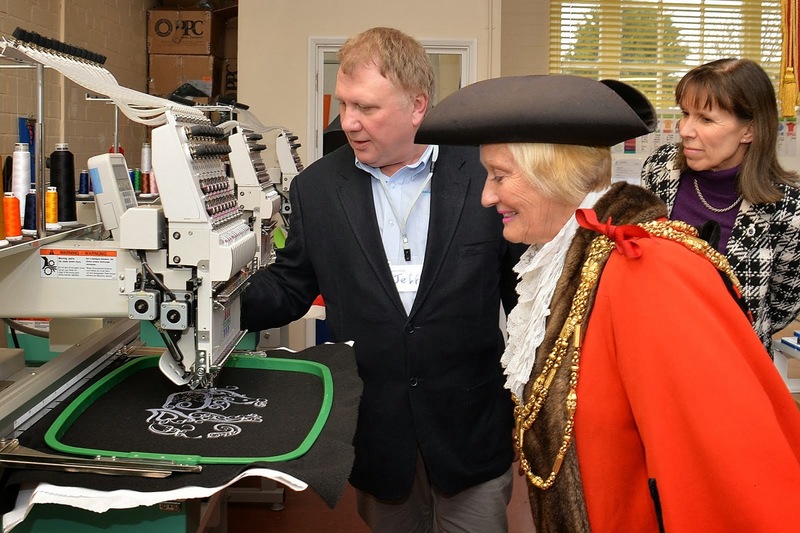 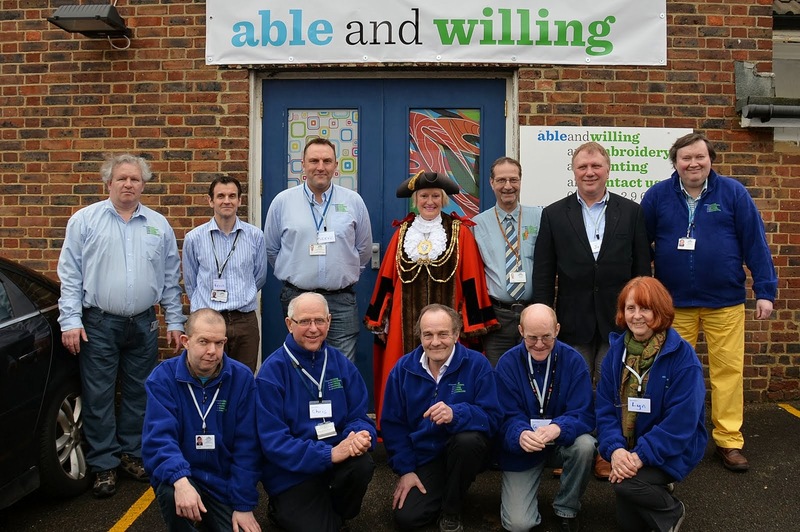 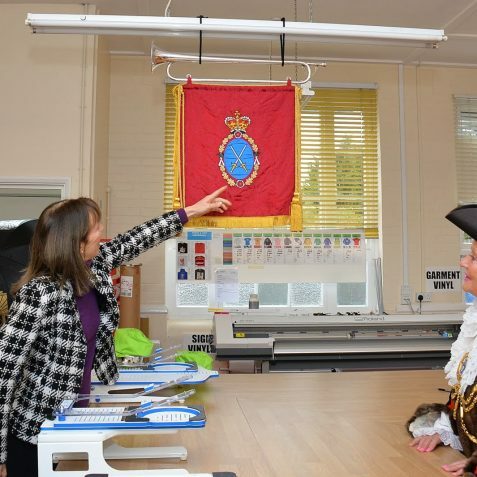 The Mayor of Brighton and Hove, Councillor Denise Cobb, the High Sheriff of East Sussex, Graham Peters DL, former High Sheriff of East Sussex Hugh Burnett DL, and a number of Brighton and Hove city councillors, paid a recent visit to ableandwilling a supported employer, sponsored by Brighton and Hove City Council. 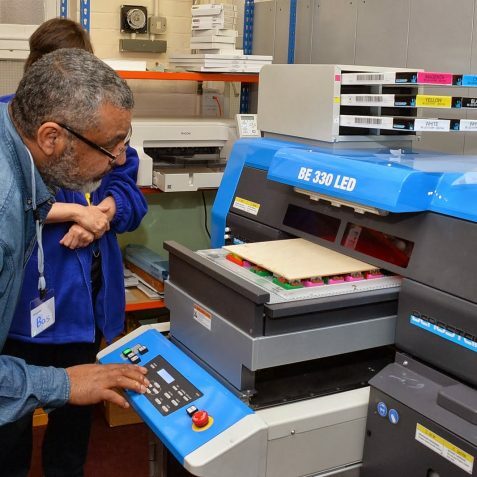 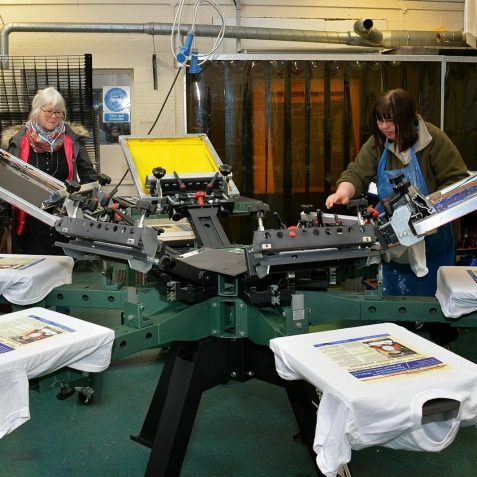 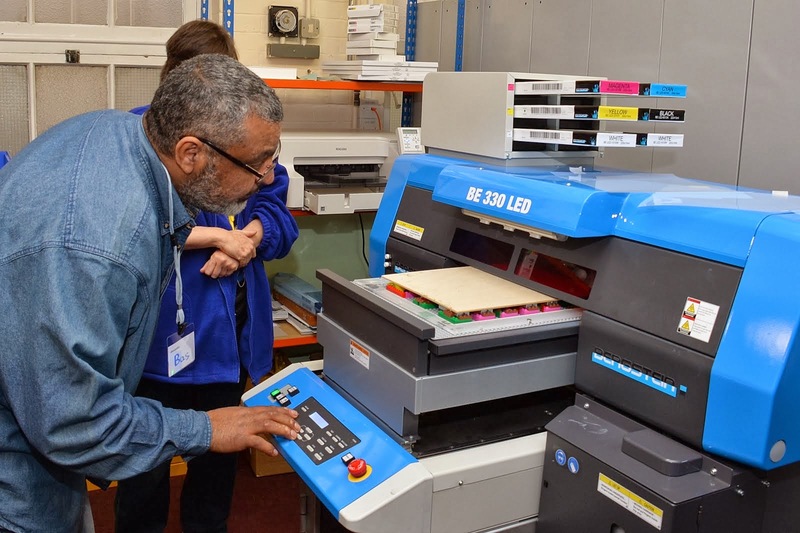 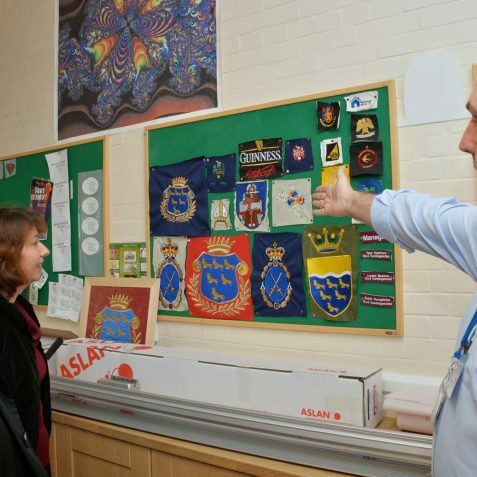 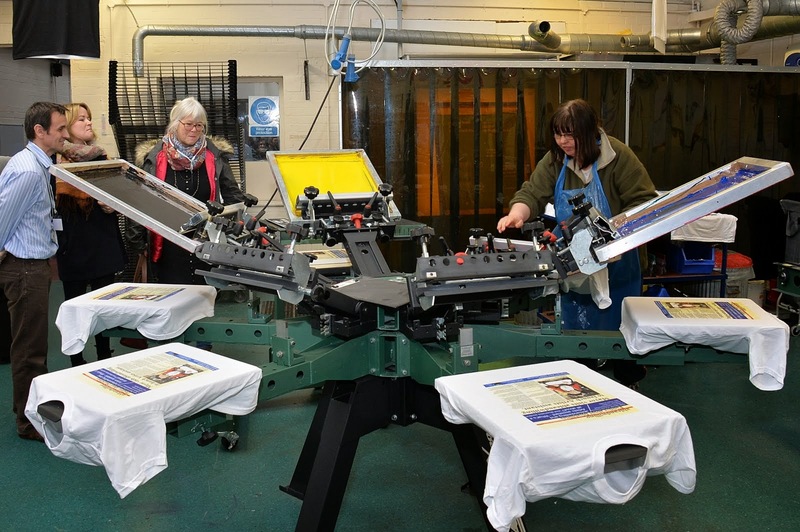 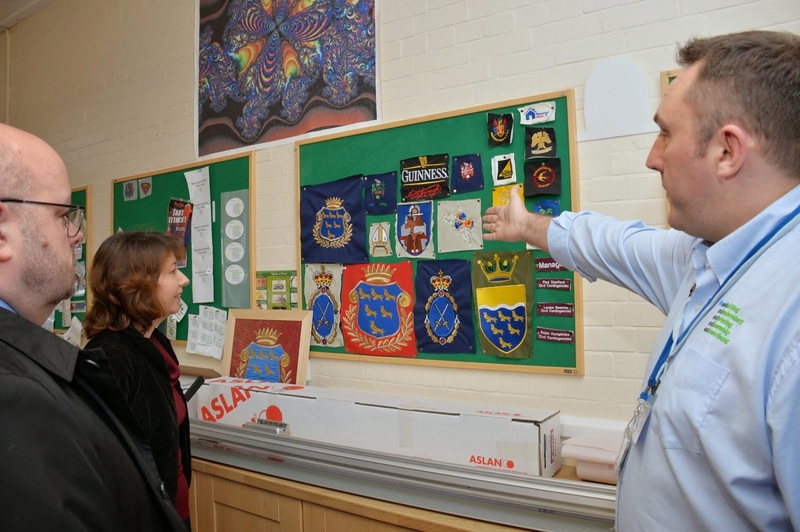 ableandwilling offer first class manual screen printing; they also have state-of-the-art digital facilities which can print or embroider designs on many different products. 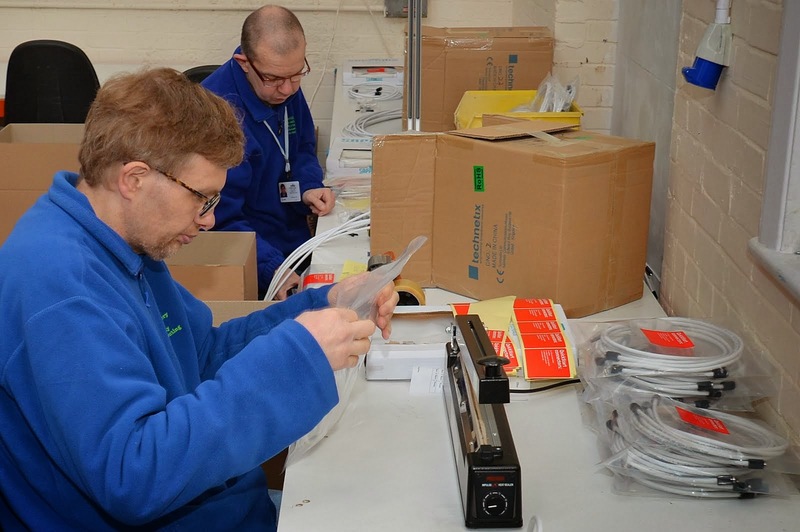 The company employs people with a range of disabilities which would normally preclude them from having regular employment. 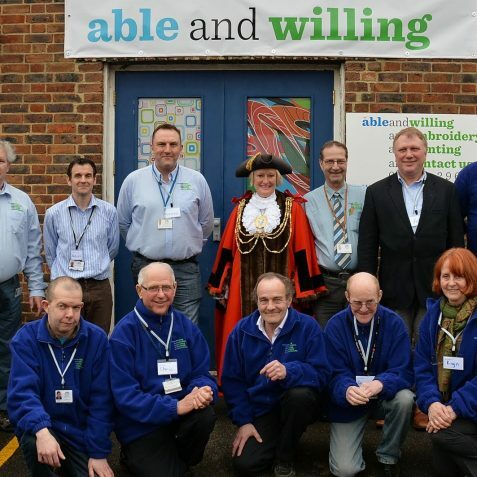 Without the opportunities provided by employers like ableandwilling, many disabled individuals would not be able to experience the dignity of work that many of us take for granted. 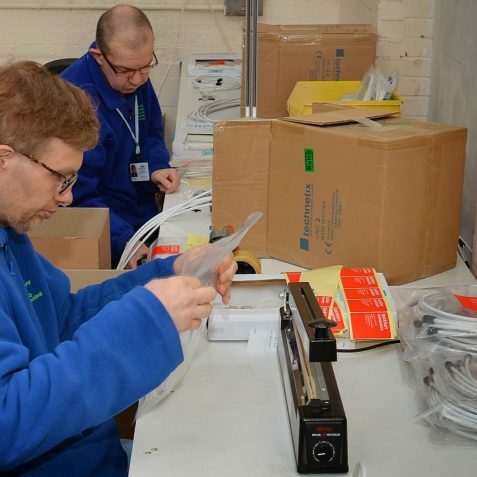 The company aims to provide valuable experience that may help prepare their employees to make the move into main stream employment.